24 hours of cold water is just a plus. It's all about sweating in style. The S’well bottle has been around for a few years, but in the last few months it has become a huge trend. You can spot them all over campus and at any Soul Cycle or Core Power Yoga studio. They’re pretty basic in design, coming in different colors and maintaining the same simple shape. So what’s the big deal about them? Sure, they’re great quality. They keep your drink cold for 24 hours or hot for 12, come in different sizes, and have a lot of other appealing features. They even donate some of their proceeds to UNICEF. But in my opinion, the new fad is about more than all of that. These water bottles are actually a fashion statement and a part of the healthy living fad that has emerged in the past few years. 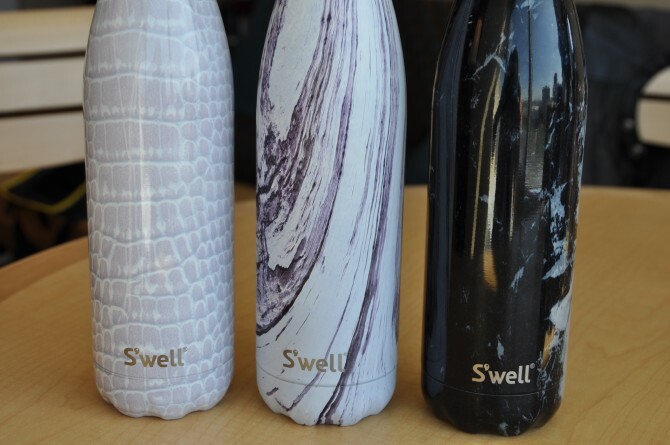 Just like any other premium performance brand (think: Lululemon, Nike), the S’well bottle craze is all about belonging to something. When you sport the brand, you are a part of the elite group of people who invest in high-quality gear and a high-quality life. Don’t get me wrong, this isn’t a bad thing. These brands are premium for a reason. But the consumers that buy these products probably wouldn’t if the brand name wasn’t attached. So how did S’well enter this market? I would argue it has to do with self expression. There are plenty of water bottle brands out there that are just as functional as the S’well bottle, but most do not provide the sleek look and different style options. Personally, I have a black bottle. I probably wouldn’t buy one of the bottles with hearts all over them, but for someone else, that might be the perfect fit. The point is, you get to express yourself while still being a part of that elite health trend. They aren’t branded as earthy-crunchy hiking bottles, like the Camelbak or Nalgene. They’re branded with that urban, clean-cut, spin class feeling. 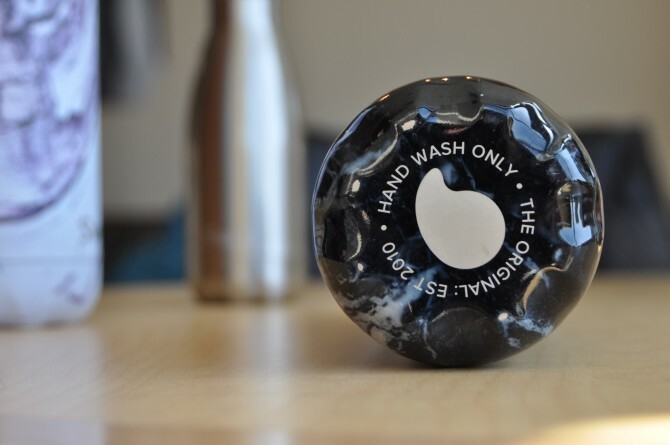 The mission statement of the brand is all about ending the use of plastic water bottles, and how S’well’s stylish design has the potential to convert people to use them instead. 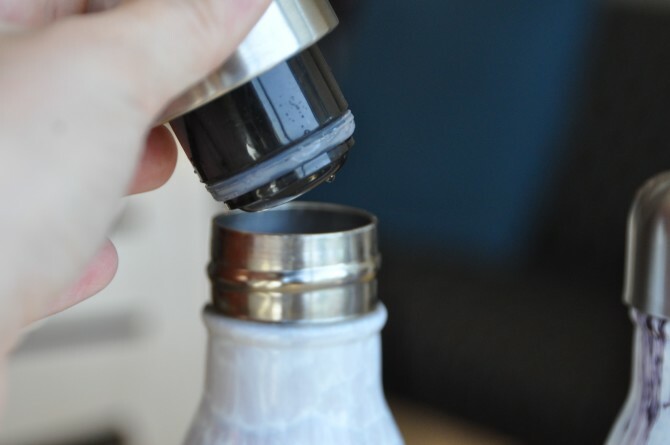 Founded by a New Yorker, there’s no wonder the bottle has such an urban influence on its design, making it the perfect fit for the healthy living fad. When you couple this smart, simple branding strategy with the high quality of the products, you get a success story. S’well has relied on very little advertising and has spread largely through word-of-mouth, which gives it way more credibility. When we see people that we relate to or want to be like using the bottle, we want one ourselves. This operates the same way with Lululemon or Nike. Think about it: if you see a badass girl at the gym wearing neon Nikes, you want a pair yourself. I’m a total S’well supporter. I love a good fashion trend and I love a good sweat session, so I fall right in that group of people that S’well wants to target. But I think it’s important to recognize that S’well’s success lies heavily in the fact that it gives consumers room to express themselves, while still making the statement that they’re a part of that kale and hot yoga demographic. This is a genius branding tactic, and the bottles are flying off the (virtual) shelf. So next time you want to sweat in style, grab yourself a S’well bottle first.